Find the perfect camp here! Circle Square Ranch is a children's summer camp providing adventure filled camp experiences. One of nine Inter-Varsity Camps across Canada, our programs include horsemanship, climbing, biking, swimming and so much more! Offers onsite and offsite (hiking and backpacking) camping for ages 6 to 17, along with a weekend family camp. Pioneer Camp Alberta is a Christian summer camp with two beautiful locations in Sundre & Rocky Mountain House, AB. Get ready for exploration, adventure,creation, challenge, growth, skill development, and of course, fun! Camps for girls who LOVE horses! Our natural horsemanship programs are about learning leadership and life skills - through heart to heart horsemanship! Horse Focused and FUN! A year-round group rental facility and traditional summer bible camp with good food, great people, and activities galore! 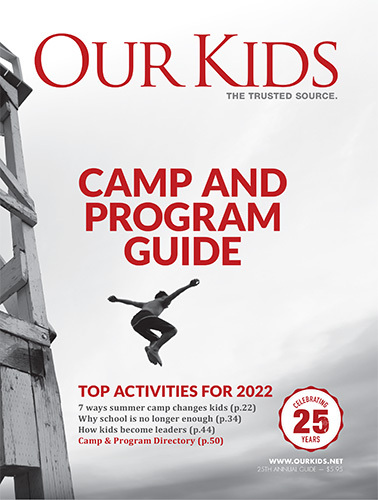 Overnight camps offer kids the essential childhood experience of outdoor living. Kids here tend to spend almost the entire day outside engaging in fresh-air activities. Campfires, tree climbing, canoeing and other water sports are de rigeur, and every kid from Albert (or anywhere else in the world, for that matter) should have at least one summer at one of these traditional camps. Sprinkled throughout the province, there are also many day camps. Camps focus on a variety of activities that can range widely. What do you like? For young horse-lovers, there are horseback-riding camps found throughout the province. For summer learners, there are day camps focused on anything from STEM to science to arts. What's your favourite sport? There's a camp for that, whether it's hockey, baseball, tennis or soccer. There are also camps like Christian kids camps or camps for kids with disabilities. Calgary being the largest city in the province, you'll find most of the camps listed above (and most in the province) in this city. These camps tend to be day camps, and tend to focus on a particular activity, such as sports (or even a specific sport such as biking). You can find a discrete list of camps in this city, on our Calgary kids camp page. Camp is supposed to be fun, first. And it is, of course. But it also gives kids experience and learning they never anticipated. Kids who go to camp tend to do better in school, as has been shown. But more so, time away from parents, being put into a new group of kids (who may be from all over) furthers maturity and self-confidence that cannot be acquired through other means. Parents who send their kids to camp give them the gift of a lifelong edge in experience. Camps throughout the province fall under the auspices of the Alberta Camping Association (ACA). If a camp is a member of, and accredited by this body, it has gone through a Standards and Accreditation program. Accreditation entails a visit once every three years that looks at all aspects of camp operations.